China’s GDP growth slowdown has not affected the country’s job market, latest data shows. The Asian nation added 7.25 million jobs in the first half of 2013, an increase of 310,000 from the number seen during the same period last year. Yin Weimin, China’s Minister of Human Resources and Social Security announced the new figures during a meeting on Tuesday. The registered urban unemployment rate stayed unchanged at 4.1 per cent, said Yin. China’s university graduates reached seven million this year and will need to be integrated in the job market. 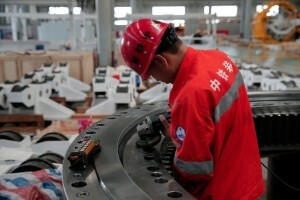 The job data followed Monday’s release of a string of economic indicators that showed China’s economic growth slowed to 7.6 per cent during the January-June period.